The Brooklyn Nets have weathered the storm without budding star Caris LeVert and find themselves right in the thick of the playoff hunt entering Monday's matchup against the Boston Celtics. A win would give them a bit of breathing room, putting them a game-and-a-half up on the eight-seed. They'll look to secure a win against a shorthanded Celtics squad that will be without both Kyrie Irving (quad) and Marcus Smart (illness). Tipoff from the Barclays Center is at 7:30 p.m. ET. Sportsbooks list the Celtics as 2.5 road favorites, down a half-point from the opening line as game time approaches. The Over-Under, or total number of points Vegas thinks will be scored, is 217.5 in the latest Celtics vs. Nets odds. Before you make any Celtics vs. Nets picks and NBA predictions, see what SportsLine's advanced computer model has to say. This model, which simulates every game 10,000 times, is crushing its NBA picks this season. It enters Week 14 of the 2018-19 NBA season with a sterling 159-118 record on all top-rated picks, returning well over $3,000 to anybody following them. And it was particularly red-hot on its A-rated NBA picks against the spread in Week 13, going a blistering 7-2. Anybody following it is up huge. Now it has locked in on Celtics vs. Nets. We can tell you it's leaning over, but it has also entered a confident against-the-spread pick that hits in well over half of simulations. You can only see that selection at SportsLine. The model is well aware that Brad Stevens and the Celtics are accustomed to manufacturing wins without their star point guard. Since this time last year, Boston is 16-7 in regular season games without Irving, so there's no reason to overreact to his absence on Monday night. It also knows that the Nets have been no match for the Celtics historically, losing ten straight. It is not out of character for the up-and-coming Nets to struggle against more proven opponents too, as evidenced by their 0-4 record against the spread in their most recent meetings with teams owning winning records. But just because the Celtics have had Brooklyn's number in the past doesn't mean they will cover one of the tightest NBA spreads of the night. The model is also well aware that the Nets are 8-2 against the spread in their past 10 home games. The timing of this game also couldn't be much better for the Nets, who draw a shorthanded Boston team coming off consecutive losses. In fact, Boston has dropped five of its past six road games, and Irving's absence offers Brooklyn a unique opportunity to steal a game against one of the East's best teams. Brooklyn is led by Russell, who has been red-hot lately. 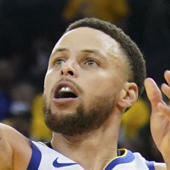 He has topped 20 points in six of his past seven games, averaging 22 points, seven assists, and nearly three made 3-pointers during that time. So who wins Celtics vs. Nets? And which side of the spread hits in well over half of simulations? Visit SportsLine now to find out which side of the Celtics vs. Nets spread you need to jump on, all from the model that has crushed its NBA picks, and find out.